Add creative detail above cabinetry, hoods, either on it's own or with stacked moulding. Country French design feels gracious and warm. 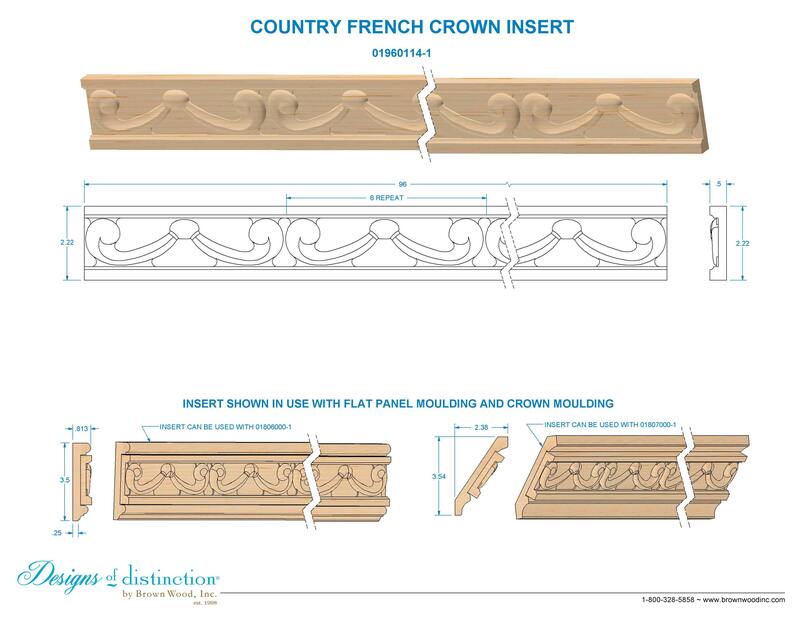 Add the finishing details to your Country French design by using our Country French Crown Insert either on it’s own or combined with our Flat Panel or Create-A-Crown® Moulding.